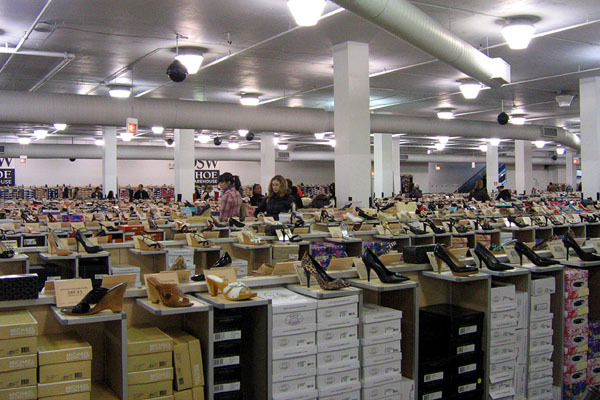 Wholesale shoes are a great buy for clothing and footwear retailers, and at Wholesale Clearance you’ll find a vast selection at the lowest possible prices, which is sure to put a spring in your step. The key to shopping for wholesale shoes is to pre-empt customer’s needs. For example, with summer well and truly done for the year, now’s the time to find the best deals on wholesale winter footwear. At Wholesale Clearance, savvy shoe retailers can find everything from snow boots to toasty slippers, at very cool rock bottom prices. Why not pre-empt last year’s snow and stock up on thick waterproof boots with good grip? Or tap into the latest fitness craze with a joblot of ‘Trimsole’ boots? It’s all about being clever with your wholesale footwear choices in order to get the most sales and best profitability from your choice of joblots. Of course, with the Christmas party season coming up, dressier options such as smart winter boots and even sandals are also sure to be popular sellers. Wholesale Clearance currently has some joblots of stunning evening shoes from a popular high street department store – with black, pink and cream available, they’re the perfect festive party shoes. Of course, the stock at Wholesale Clearance changes continuously, so savvy retailers keep a keen eye on the website in order to snap up the first pick of spoils. However, with hundreds of fantastic deals on wholesale shoes, boots, slippers and more at any one time, there’s always sure to be plenty of choice to suit your retail outlet. If you’re a retailer selling both footwear and fashions, and are wondering where to find wholesale clothes, then look no further. Not only dedicated to shoes, Wholesale Clearance offers amazing deals on joblots of designer, high street and catalogue branded clothing, for retailers to take their pick from. Put a spring in your step with the best deals on wholesale shoes and wholesale clothes from Wholesale Clearance. Women certainly feel inocpmlete without the perfect pairs of shoes. Our shoes do protect our feet but it also adds a touch of class to achieve a perfect look. These days the demand for fashionable and elegant shoes is growing and numerous brands are shifting in shoe industry. Skilled designers are constantly in search for new trends and designs to charm women all over. Each year plenty of new designs of shoes are bared in the catwalk. Gucci shoes has become preferred by most women due to its excellent designs and quality. Pairs of elegant Gucci shoes crafted from first rate quality materials is a perfect gift that you can purchase for yourself. So better pamper your feet with chic Gucci shoes. Do you have a ware house I can visit? « Wholesale Clearance UK is now on Youtube!